Team BOC’s Jason Bright takes pole position forRace Four of the Championship, the first of this afternoon’s races. 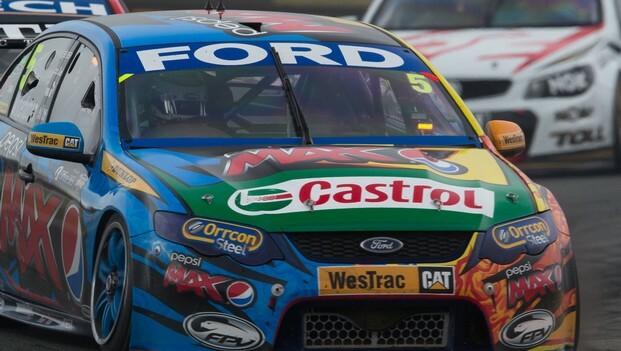 Side byside with teammate and yesterday’s winner Fabian Coulthard, Bright yesterdaycommented he needed to qualify better – and he’s gone out and done that. Qualifying today was structured in two 15-minutehalves, with a 10-minute break for teams to make changes and drivers to pop outof the cars. Times traded right until the end of the second session,with Mark Winterbottom bagging pole at the last minute. Winterbottom will startnext to Coulthard, with Whincup, Courtney and McLaughlin rounding out the topfive. An incident between Dean Fiore and Alex Premat in thesecond session is under investigation.